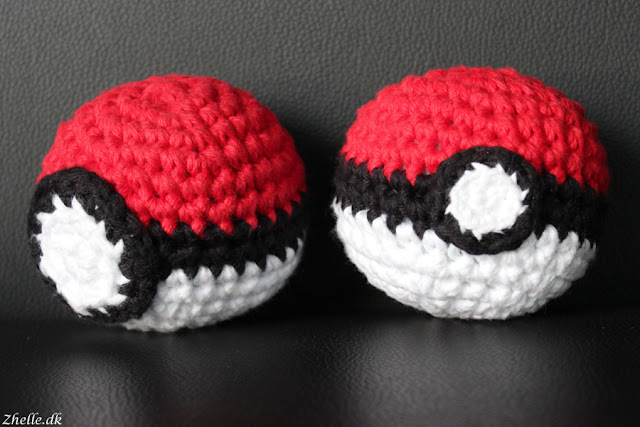 This week I have been busy making pokeballs! I chose to use double yarn, so the pokeball, when finished, would be what I consider a proper pokeball size. 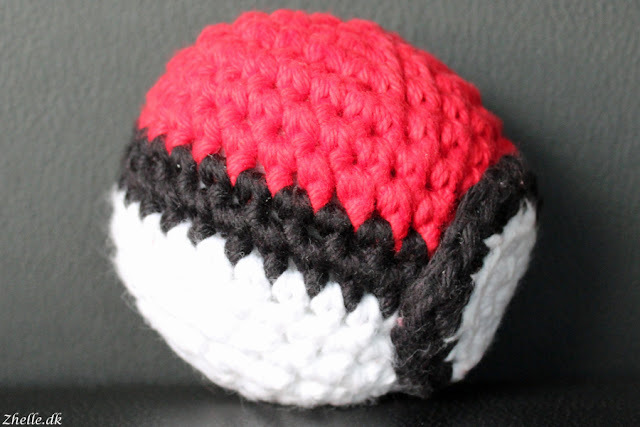 The pattern stated that the finished pokeball would fit in the palm of a hand, and I definitely wanted it bigger than that. 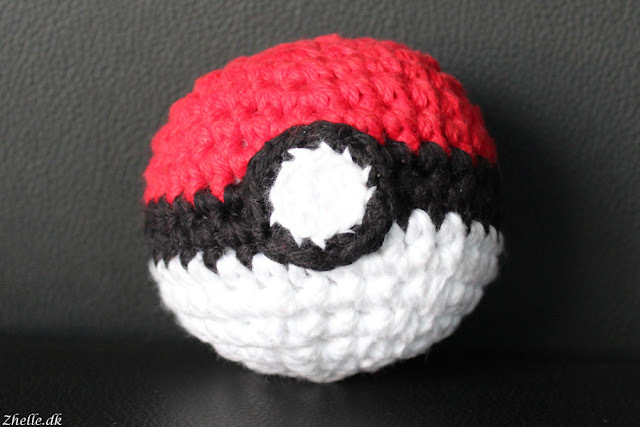 On the first one I made, the button was made with double yarn as well, but I did think that it was too big for the pokeball. 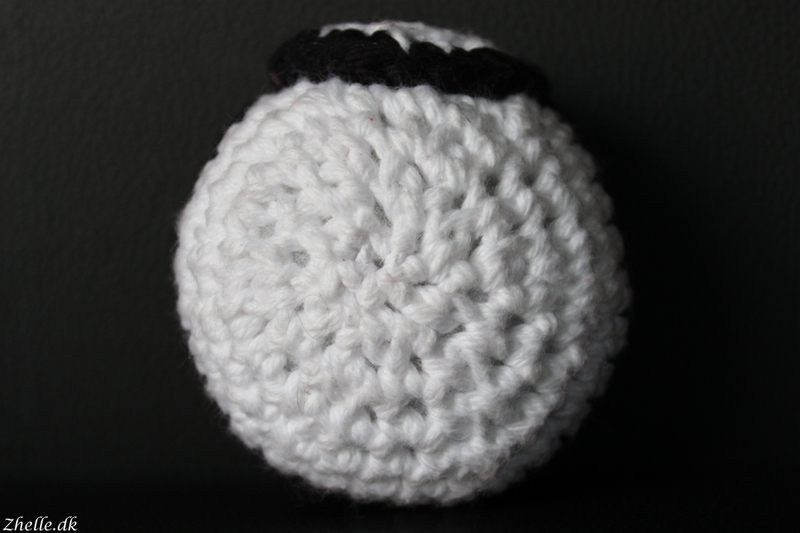 I used a few tutorials from PlanetJune, 'Ultimate Finish for Amigurumi' and 'Invisible decrease'. The invisible decrease doesn't work as well on this as it does usually, and I suspect it might have something to do with me using double yarn. I'm not sure though. 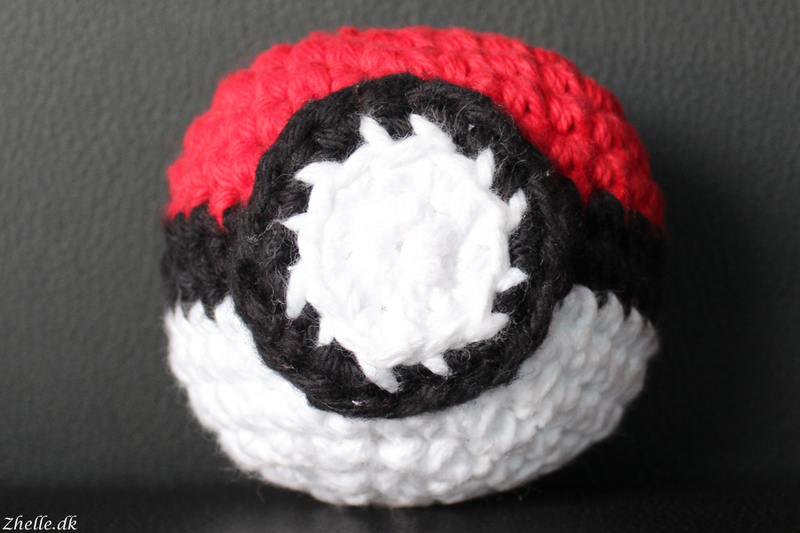 The second pokeball I made, I used double yarn for the ball itself and single yarn for the button. Much better proportions! Now all that's left is to get the colour change right. I used the normal join in the colour change of the ball, but I used PlanetJunes' 'Perfect Stripes for Amigurumi' for the button. I believe using that method for the colour joins will make the pokeball perfect. Pattern is by Nicole's Nerdy Knots.